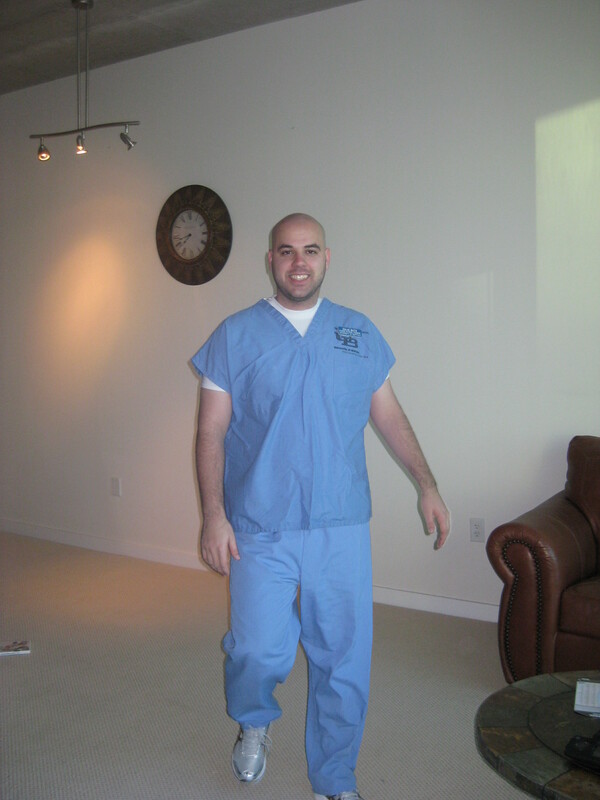 In 2008 I decided I couldn’t stand Buffalo one more second and moved to NYC as a travel nurse. Nine months later, the Husband joined me. It was a glorious year, filled with shopping, drinking, dancing, celebrity sightings, awesome new friends, and no need for my driver’s license. But all good things come to an end. 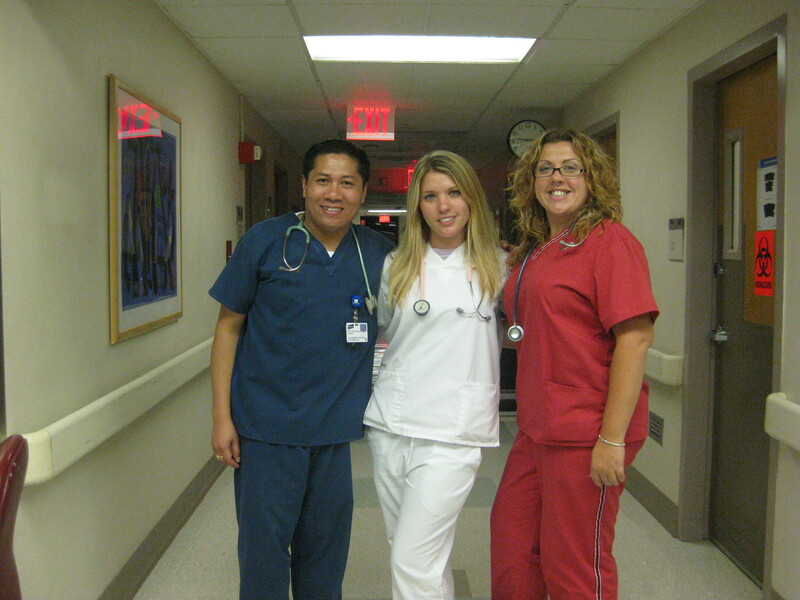 Alex, me, and Isabella working the night shift at Beth Israel Medical Center, NYC. Billie and Isabella, my fellow BIMC nurses and amazing friends. 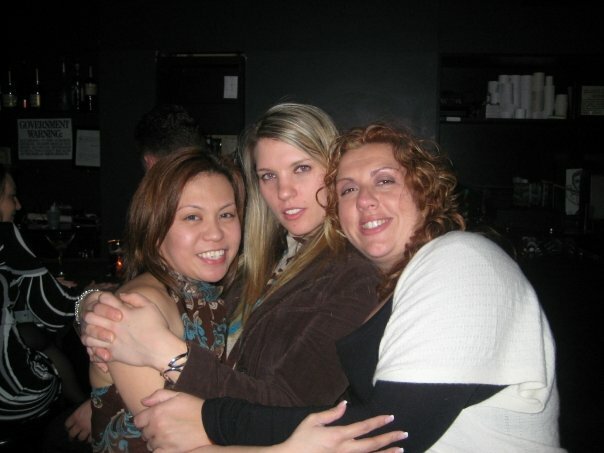 At Union Bar for my going away party. And the Husband and I decided we couldn’t stand snow for one more second. Seriously. I couldn’t stand one more red nose, one more down jacket, and if the bottom of my pants got my socks all wet and cold one more time, I might have died of frustration (or the flu). So we hauled all of our stuff on the Amtrak back to Buffalo, packed everything we owned into my Mitsubishi Eclipse, and left for Florida. 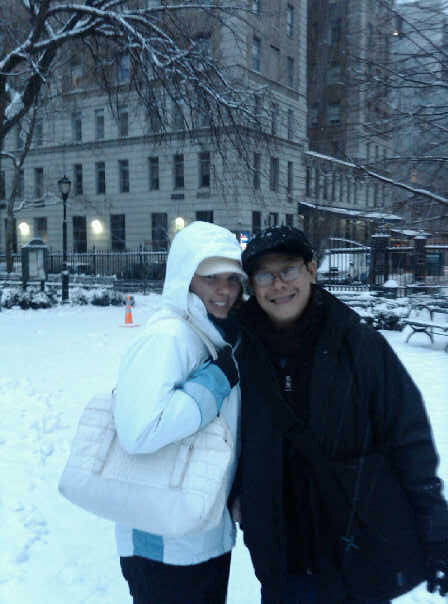 Melchor and me FREEZING while walking to the train after work. I still get goosebumps just looking at snow! BRRRRRRR…. 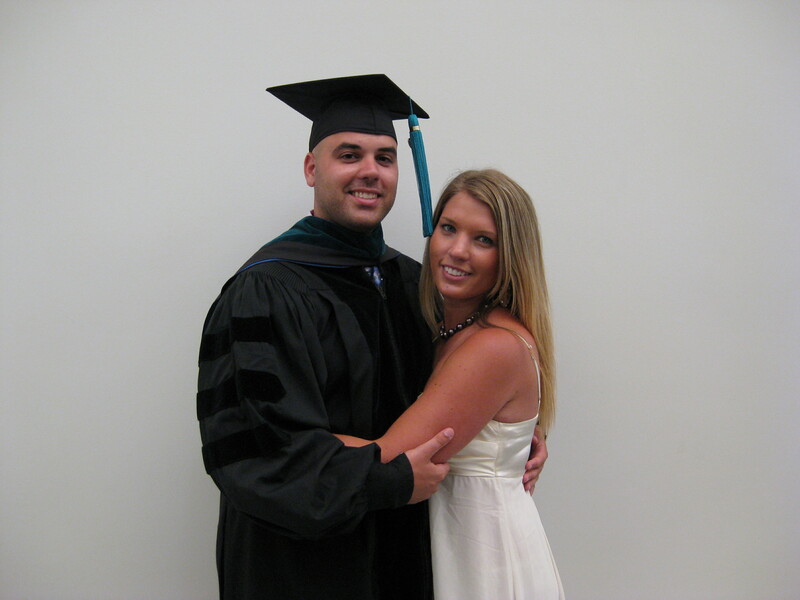 The Husband had his last internship for Physical Therapy school, so we hurried to Tampa so he could start at Tampa General Hospital. We stayed for three months; I worked as a travel nurse and the Husband finished his internship. We rented an amazing furnished condo from my nursing supervisor in NYC. I know, what were the chances that I actually new someone in NYC that had an available, furnished apartment to rent??? 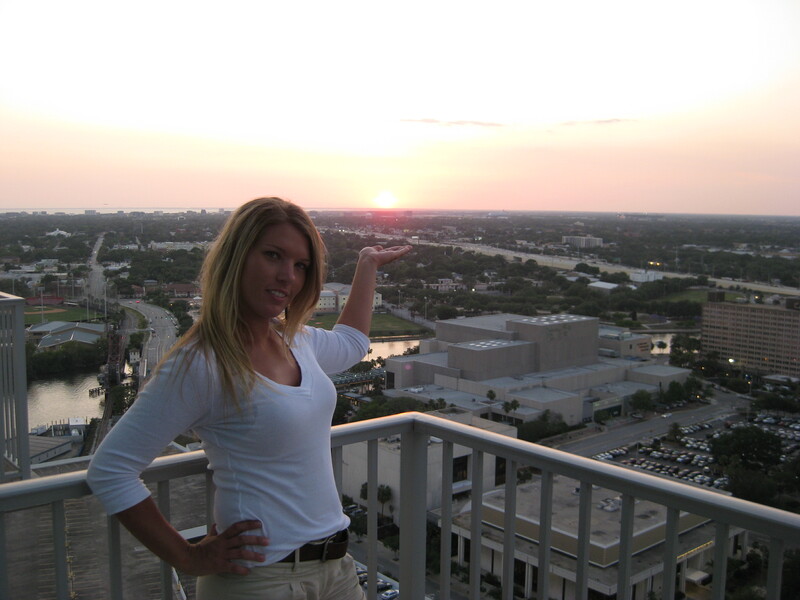 And the best part, it was on the 25th floor of a beautiful, highrise condo in downtown Tampa, Skypoint. 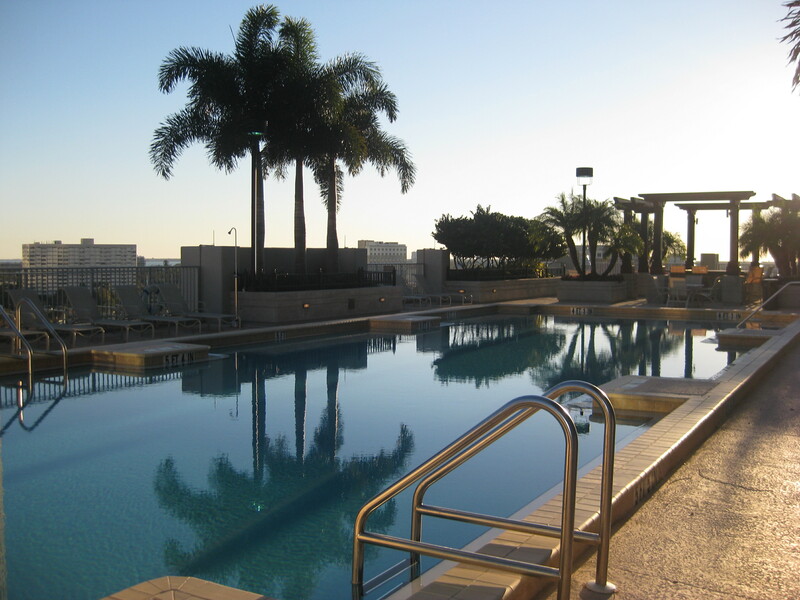 It had the most beautiful view, and pool. It was seriously like a vacation (well, on the four days a week that I was off from work). The Husband’s last first day of internship! Me on our balcony. We had a view of the sunset every night! The pool. On the 8th floor. So many young people live here, it was like MTV’s Spring Break every weekend! But, of course, all good things come to a (temporary) end and Isaac had to head back to Buffalo for graduation. The next four trips we made back and forth between Buffalo and Tampa were much more exciting than the first. We made time to see some awesome places and some really cheesy places. I mean super cheesy. I even rode a pink gorilla. More about my friend later…. These trips up and down the coast were more than just vacations, or a way to get from point A to point B. I think it was on these trips that the Husband and I realized we would be together forever. I mean, if two people can drive 1200 miles in coupe packed full of crap and not kill each other, it must be for real, right?